I really have to get used to having smoothies more regularly… so rich and delicious and healthy and quick! Can’t wait to try dole’s berries too! seems so much easier to manage than regular berries! 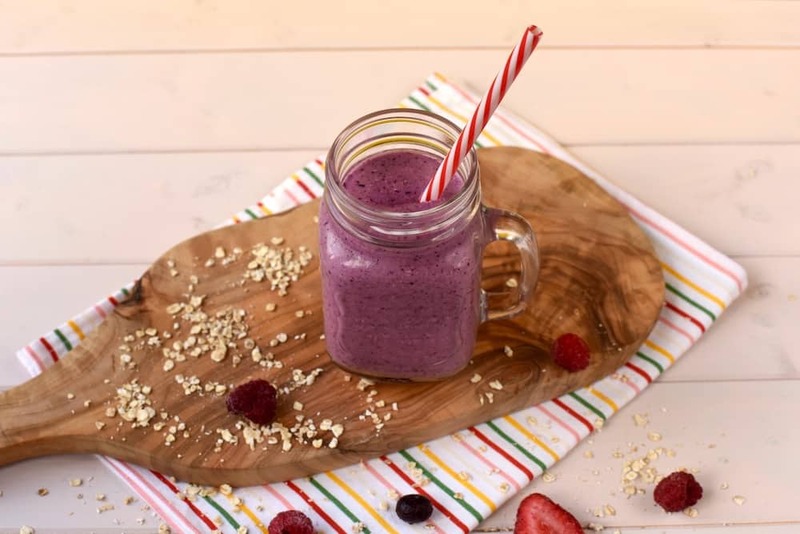 I love smoothies, especially those with berries! This looks fantastic! 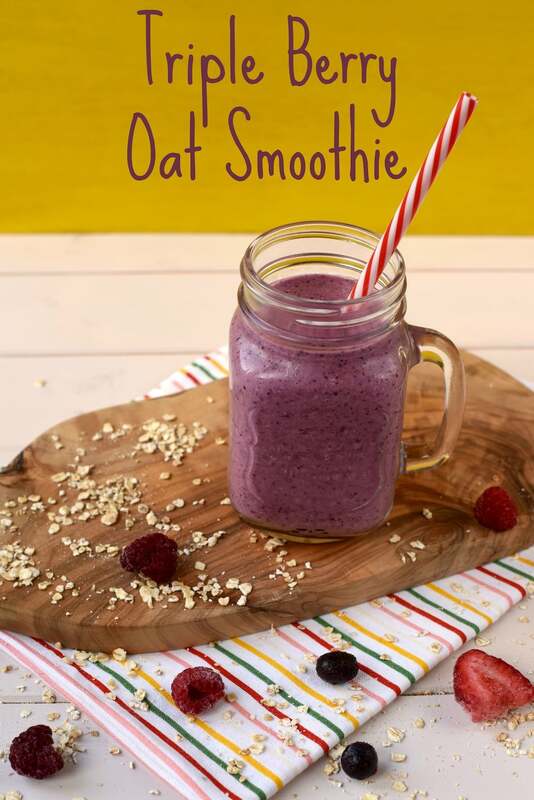 Love adding oats to my smoothies, makes it feel so much more hearty! 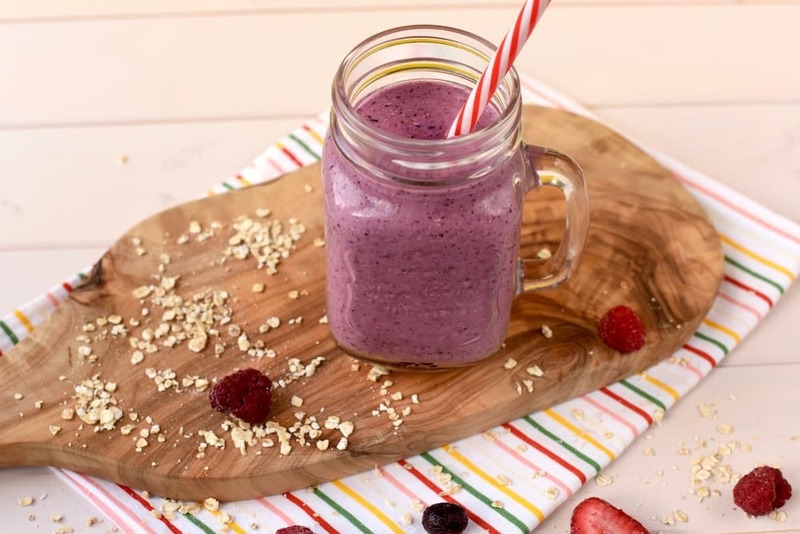 That berry mixture sounds great, frozen fruit mixes are so handy! 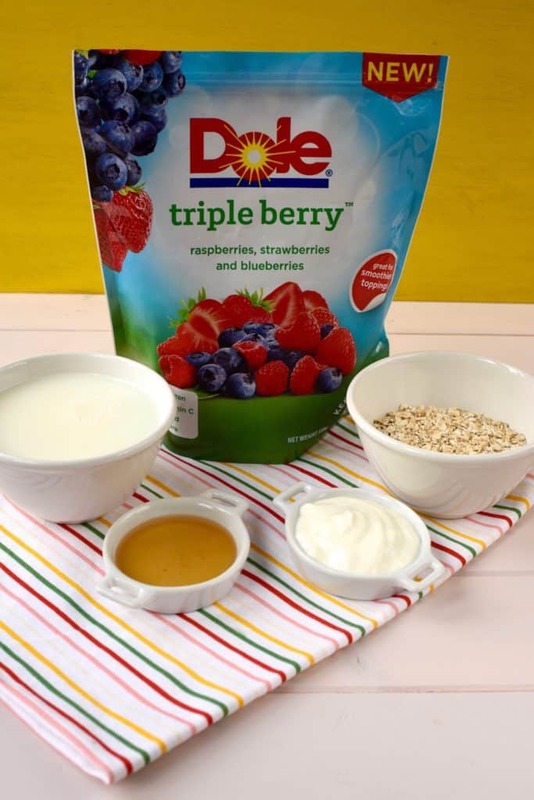 My kids loved this and we always have berries in our freezer for when they are out of season. I couldn’t go 6 months without strawberries. 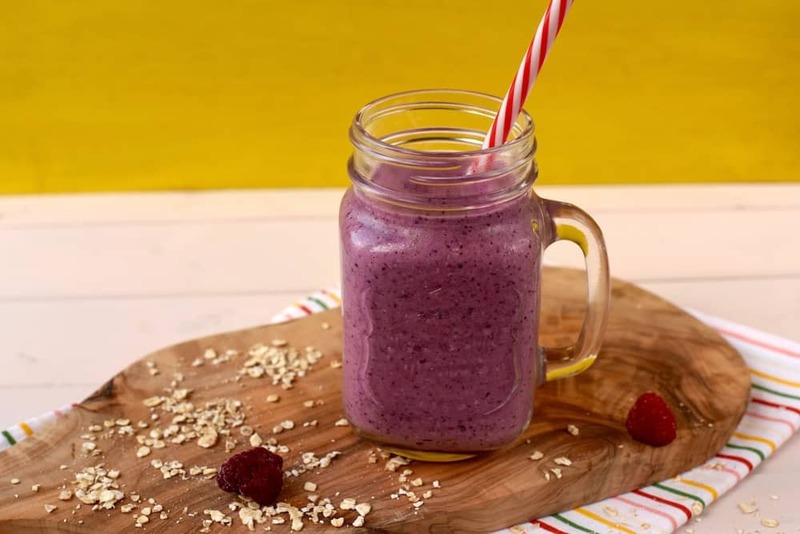 I love the colour of this smoothie, and I’m a big fan of adding oats to make smoothies more satisfying. This looks fab! 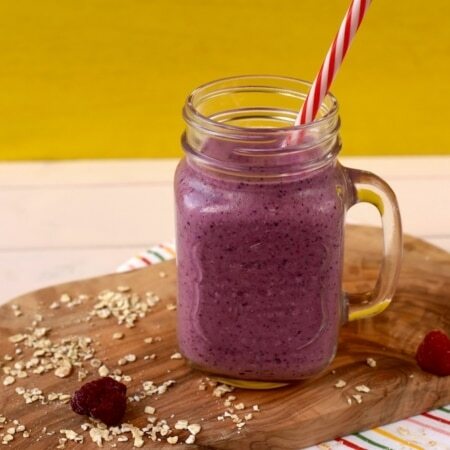 This smoothie would make a great start for any day! This sounds like a quick and delicious route to a healthy breakfast! I always have frozen berries in the freezer too – they are so versatile. Perfect timing ~ i just got my first Vitamix ~ and I’ve got berries in the freezer, yay! I haven’t been able to find this fruit in my supermarket! I need to get my kids to eat more fruit, and this might be the way to do it. Do you have a kid friendly green smoothie too? I remember relying on smoothies during the first few months of my daughter’s life too 🙂 This is a great combination! I am not a huge fan of many smoothies but this looks absolutely gorgeous! Berries are my favourite fruits so I am keen to try this one! 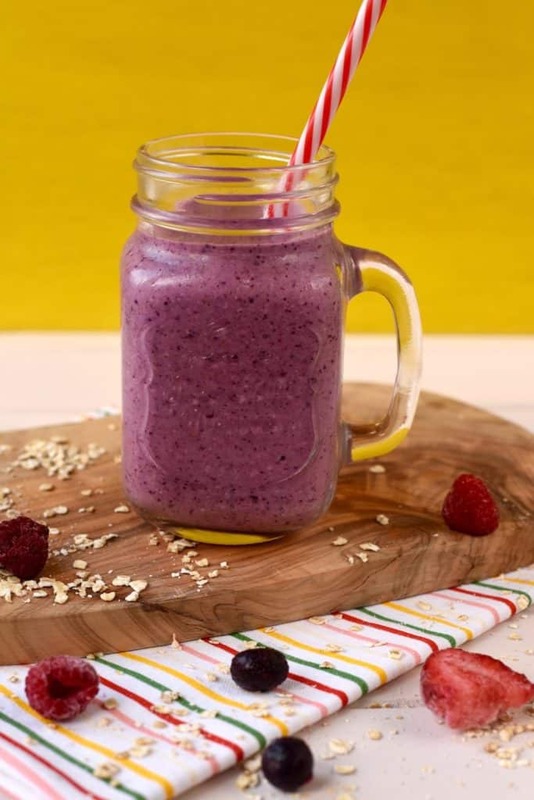 Oooh I love the colour – that’s one way to encourage my boys to have a smoothie, the colour! I made this this morning. It was lush! I love the colour of that and the idea of putting oats in it. Do you have any other smoothie recipes?